This activity is designed to address the unprecedented recent and ongoing advances in AML research and anticipated changes in the AML therapeutic landscape resulting from the development of many innovative therapies, several of which are in late stages of clinical trials. The goal of this activity is to ensure that members of a multidisciplinary team, including physicians, nurses, pharmacists and other relevant healthcare professionals, have the knowledge and skills necessary to apply the standards of care to their practice and healthcare setting for patients with AML. This educational program is designed to meet the educational needs of oncologists, hematologists, nurses, pharmacists, and other healthcare professionals who manage patients with AML. This activity is supported by educational grants from Agios Pharmaceuticals; Astellas; and Novartis Pharmaceuticals Corporation. Jessica K. Altman, MD: Astellas Pharma US, Inc.: Scientific Advisor; Bristol-Myers Squibb Company: Scientific Advisor; Fujifilm Corporation: Scientific Advisor; Janssen Pharmaceutica Products, LP: Scientific Advisor; Syros Pharmaceuticals: Scientific Advisor. 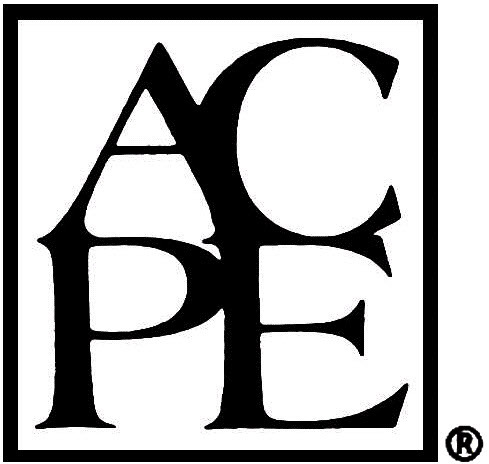 Richard M. Stone, MD: Agios Pharmaceuticals, Inc.: Consulting Fees, Honoraria; Amgen, Inc.: Consulting Fees, Honoraria; Arog Pharmaceuticals, Inc.: Consulting Fees, Honoraria; Bristol-Myers Squibb Company: Consulting Fees, Honoraria; Celator Pharmaceuticals, Inc.: Consulting Fees, Honoraria; Celgene Corporation: Consulting Fees, Honoraria; Fujifilm Corporation: Consulting Fees, Honoraria; Janssen Pharmaceutica Products, LP: Consulting Fees, Honoraria; Karyopharm Therapeutics: Consulting Fees, Honoraria; Merck & Co., Inc.: Consulting Fees, Honoraria; Novartis Pharmaceuticals Corporation: Consulting Fees, Honoraria; Onyx Pharmaceuticals, Inc.: Consulting Fees, Honoraria; Pfizer, Inc.: Consulting Fees, Honoraria. AAPA accepts certificates of participation for educational activities certified for AMA PRA Category 1 Credit™ from organizations accredited by ACCME or a recognized state medical society. Physician assistants may receive a maximum of 1.0 hour of Category I credit for completing this program. National Comprehensive Cancer Network (NCCN) is accredited as a provider of continuing nursing education by the American Nurses Credentialing Center’s (ANCC) Commission on Accreditation. NCCN designates this educational activity for a maximum of 1.0 contact hour. Accreditation as a provider refers to the recognition of educational activities only; accredited status does not imply endorsement by NCCN or ANCC of any commercial products discussed/displayed in conjunction with the educational activity. National Comprehensive Cancer Network designates this continuing education activity for 1.0 contact hour (0.1 CEUs) of continuing education credit in states that recognize ACPE accredited providers (Universal Activity Number 0836-9999-16-102-L01-P).